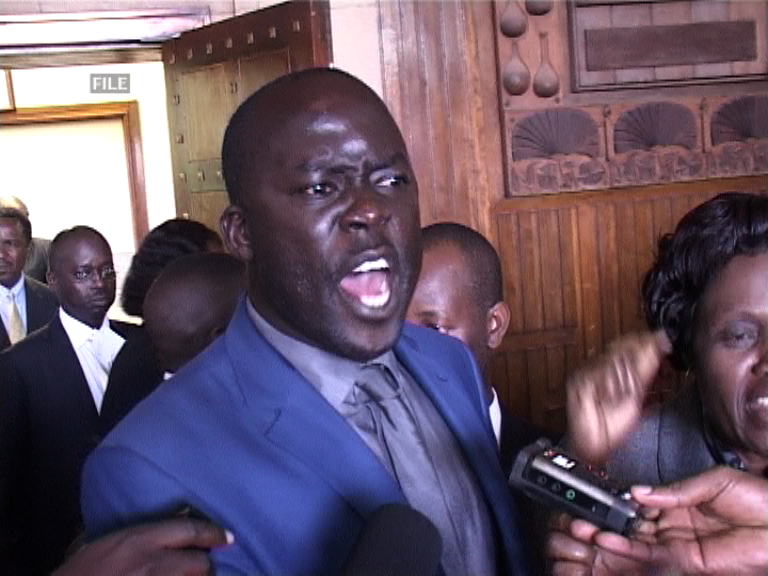 Aruu MP Odonga Otto moved motion to shut-down business. Net picture. Parliament on Tuesday evening resolved not to hold any plenary sittings unless government produces a satisfactory report detailing its investigations into the mysterious murders of at least 20 women in Wakiso district. In a motion moved by Aruu County MP Odonga Otto and seconded unanimously by the whole House, Parliament directed that the sittings will only resume after government tables a statement giving information regarding the probe into the murders. The women and girls have been killed in the areas of Entebbe, Katabi town council and Nansana. Police on Monday discovered the body of the 20th victim in Nyanama along Entebbe road. During the sitting convened after a one-month break on Tuesday afternoon, Otto opined that government has not yet explained to Ugandans what the police is doing. Otto noted that though the Speaker of Parliament, Rebecca Kadaga had given a directive to the Ministers of Defence, Internal Affairs and Security to present a statement to that effect, they had declined to attend yesterday’s proceedings. “In the circumstances, I want to move a motion that this House is adjourned until government is ready to present this statement,” Otto suggested, attracting thunderous claps and shouts of “aye” from majority in the House. Amid accusations that the government was being complacent, Tom Butime, the Minister of Local Government, stood up as acting Government Chief Whip and laboured to explain that investigations were currently ongoing and the police would come up with a report. He was thoroughly heckled by MPs, including the Leader of Opposition in Parliament, Winnie Kiiza who lamented that government had dragged its feet over this matter. “I really feel hurt that when it comes to the matter of discussing the security concerns of the women, it is sad that we are still being told investigations are being done. Can we at least have a partial statement on the matter?” Kiiza said. The debate took a twist when Rosemary Nansubuga Sseninde, the Wakiso Woman MP and State Minister of Education, abandoned the government side and instead sided with the back benchers. “Whenever we hear that suspects have been held, then another day, there’s another murder. The women being killed have left young children. I honestly as an MP for Wakiso support the motion,” Sseninde said. She received cheers and claps from colleagues. Busiro South MP Peter Ssematimba, on the other hand, said the murderers were a depiction of gruesome terrorism.. Seeing as the MPs were not about to budge, Deputy Speaker of Parliament Jacob Oulanyah put the question to the vote, to which MPs almost unanimously responded “aye”.